The event includes a hands-on VectorBase Workshop. 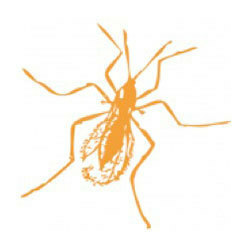 VectorBase is a bioinformatics resource center focused on invertebrate vectors of human disease. It currently hosts 13 vector genomes, all of which are associated with well-established and characterized laboratory colonies. The workshop offers training and data analysis opportunities. Through hands-on practical sessions, users can discuss their own data sets with the instructors and fellow attendees. The symposium commences with the John A. Lynch Lecture Series keynote speaker Serap Aksoy, professor of epidemiology at Yale University, who will give a presentation titled, “Unleashing the tsetse genomic: Are there magic bullets for trypanosomiasis control?” The lecture series is named after John A. Lynch, M.D., a 1951 Notre Dame alumnus who founded Kansas Orthopedics & Sports Medicine.